So the title of this post is a big ol' lie, unless you count drinking hot Dr. Pepper in one's youth "a dark dirty secret." But if I were honest and titled this post "Interview With a Dietitian Who Gives Sensible, Inspirational Answers to Crabby's Silly Questions," would it have caught your eye? There is so much ridiculous misinformation out there in the weight loss world, and though I whine about it all the time, I'm not actually qualified to spout off quite as much as I do. So, I thought, why not ask an actual dietitian some questions? But where to find one? Well, duh, Crabby, why not look on the right hand sidebar of the blog, below the Blogher ad! Yes, some of you may have noticed we have some new sponsors. (Hooray for non-conglomerate companies that have healthy products and support independent blogs! Please visit them all and check them out!) And one of these is Green Mountain at Fox Run. 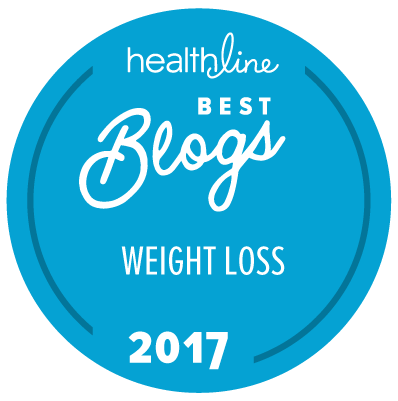 They have a great blog there, A Weight Lifted, and their director Marsha Hudnall, MS, RD, is not only a dietitian, but a blogger and professional writer as well. So here's my interview with Marsha, who was very good-natured about putting up with my goofy questions. Crabby: How did you decide to become a dietitian? Were you always a healthy eater or did you go around like I did in my formative years, scarfing cheeseburgers and cokes and cookies with complete abandon? Marsha: I'm from Texas so that might give you a small idea of what I grew up eating and drinking. Lots of Dr. Pepper, for one thing. And, yes, even hot -- a Texan's idea of afternoon tea. Actually, my father was a farmer-turned purchasing agent who never lost his passion for growing vegetables, plus we had chickens, cows, pigs, the whole nine yards. So I got a great start with good nutrition. Like most teenagers, however, my friends and I had our own idea of eating well. Our typical after-school snack was frozen coke and frozen candy bars (blame it on the Texas heat). Eventually, though, I got caught up in dieting. As is my tendency, I took it to the extreme, and developed an eating disorder. Crabby: There seem to be a few dietary principles that most experts agree on: eat more vegetables and whole foods; get some protein of some sort; choose good fats over bad ones; and do not try to subsist solely on a diet of chocolate ice cream, Cheetos, and Red Bull. But when you start to get specific, there's so much disagreement out there. Go "primal" and eat lots of meat? Avoid carbs? Go vegan? Take lots of supplements? Never take supplements? Eat everything raw? Eat for your blood type? Watch your calories, or fat grams, or weight watcher points, or sodium, or sugar intake--or don't track anything at all? I guess my question is: do dietitians have these debates too, or is there more consensus among those with professional training about how we should be eating? Marsha: When I first started out, I think it was fairly clear -- mainstream-educated nutritionists pretty much agreed on the basics. The other camp was the 'health food nuts,' who weren't necessarily professionally educated on the subject. Today, lines are blurring. First, many of the 'nuts' are professionally educated now; many of them are dietitians. Note I'm not calling these folks nuts; I think moving in the directions proposed by many alternative practitioners offers some real potential. Actually, I think many in both camps are now seeing potential value in the other. They may not really even be separate camps anymore. Complicating all this is the clear problem that our population is having in terms of achieving and maintaining healthy weights. The debate surrounding that is tremendous, and it's going on among all the players. Of course, it's important to understand that debate is often what drives inquiry, so it's a good thing. Crabby: Can you sum up your basic healthy-eating philosophy in a paragraph or two? Marsha: Anything that goes well with wine. Okay, maybe not for breakfast. My healthy eating philosophy can be summed up as 'eating well feels good.' First, it's not a cookie-cutter approach -- 'eat this, don't eat that.' Nor is it bland, boring or restrictive. Instead, it's about eating in a way that truly makes us feel well physically and mentally. Walking away from the table feeling satisfied, having enjoyed foods we want to eat, comfortable -- not hungry but not stuffed, either -- supporting a healthy weight that is different for all of us but feels good to us as individuals, helping us stay healthy so we can enjoy our lives. It's also about sometimes overeating because we want more, and making the decision to go for it because that feels good, too. Further, it's about enjoying good food with family and friends, acknowledging that healthy eating is more than just what we put in our mouths. But what it's really about is finding a healthy balance among all the things eating does for and to us so we can get on with the things in our lives that are truly important to us. Er... Unless you can, in which case you will win the Cranky Fitness All-Time Good Sport Award! Crabby: That's awesome! You have indeed earned your Good Sport award. So next question: What are the typical dietary issues that you see women come in with at Green Mountain, and how do you help them address these issues? Many of the women who come to Green Mountain at Fox Run have been struggling with their weight for a long time, often since childhood. Others may not have struggled with it for as long, but the diet mentality has become such a part of our society's way of thinking about food, eating, weight and ourselves, they're almost in the same spot. Challenging that thinking is a big part of what we do. We work to help women change their attitudes and beliefs about what constitutes healthy eating, exercise and health, and find what works for them so they can begin moving towards a healthy weight. And we provide a safe, supportive environment for them to do things differently and see how it feels, which of course feels great. Ultimately, it's about freedom of choice. We help women understand the choices we have -- and the right we have to make choices for ourselves. So much about eating and weight struggles today has to do with what other people think. A much more effective focus is what we as individuals think and feel. Crabby: So what is the silliest fad diet you've ever heard of? Marsha: I couldn't even begin to put one above another. Further, it's hard to honor any of them with the word 'silly.' I'm pretty passionate about the misguided thinking that fad diets represent, not just about eating but about our weight and our worth. At the very least, they have done enormous damage by confusing people about how to truly take care of themselves. Crabby: Any parting words of dietary advice for Cranky Fitness readers? Get a life (I mean that in the nicest way). Thank you very much Marsha! Marsha Hudnall, MS, RD, first came to Green Mountain at Fox Run as an account supervisor for a public relations firm that Green Mountain hired to do, well, public relations. To better promote Green Mountain, she went through the program and found herself entranced by its non-diet, feel-good-about-yourself philosophy. She also found herself entranced by the director, who subsequently became her husband, and she subsequently became director and co-owner (after serving as cook, bottle washer, nutrition director and program director). Her self-described mission at Green Mountain has been to help participants learn to enjoy food and eating while successfully managing their weight and health. Marsha has written prolifically throughout her career, and now spends much of her time obsessing over her posts for Green Mountain's blog A Weight Lifted. About Green Mountain at Fox Run: A healthy weight loss retreat for women only, Green Mountain at Fox Run offers a proven healthy lifestyle program that teaches how to eat instead of starve, move our bodies for pleasure and physical well-being, and manage stress and negative self-image for health and healthy weights. In operation for 37 years, Green Mountain pioneered the non-diet approach to achieving and maintaining healthy weights. What about you folks: are you able to "find the fun" when you eat healthy, or does healthy eating and "fun" ever feel mutually exclusive? Fantastic post Crabby & Marsha. Ive yammered at the blog world ad nauseum about what I think---so Im gonna settle in here and listen (I know. shocker :)) to others. Great POST! I loved reading Marsha's thoughts! Refreshing to read this amidst all the crazy wa-hoo diets and what not there are out there. Great post! I may have a nonsexual girl-crush (NGC) on Marsha. "But what it's really about is finding a healthy balance among all the things eating does for and to us so we can get on with the things in our lives that are truly important to us." THIS is what I have been waiting to hear my whole entire adult-dieting life. Finally someone who GETS it! I'm printing out that whole paragraph and hanging it on my wall. Simple yet effective. A nutritionist who answers in haiku?? Awesome! Thanks for the very sensible advice:) Although now I'm wondering what frozen cake tastes like... durnnit. Great interview! Is it telling that I would love to hear every dietician confess her junk food dalliances? 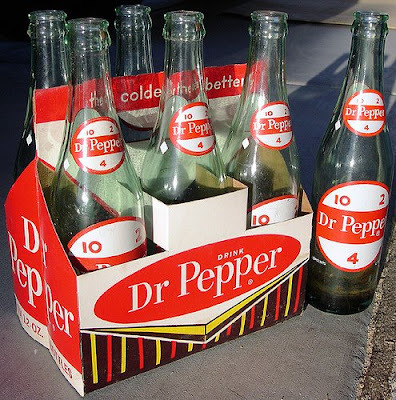 That hot Dr Pepper thing warmed my heart, even if it wasn't current. I 100% agree with "Get a life" (in the nicest way possible!). I actually enjoy eating healthy foods, but I also enjoy eating the treats I allow myself-- the fun for me is in not overthinking it, I guess? great interview and post! so entertaining, i loved it!! thanks laides! Healthy eating is so much more fun and easy for me in the summer. Partly it's the garden - I'm obsessed. And fresh sugar snap peas right off the vine? Oh dear sweet heaven. Plus all that outdoors fun. Hiking, camping, grilling out with friends. So much easier to do fresh, healthy, AND fun. In the winter it seems it's more of the heavy not-so-healthy, but damn it's yummy food. Thanks Crabby for introducing a real food professional that actually sounds reasonable. I've talked to other "dietitians" in the past and was turned off by the salad only each day for lunch suggestions. That was a great interview. I wish I could afford to check out the ranch. My mother was an Adele Davis disciple when I was growing up, and I had to ingest more brewer's yeast than I like to think of. So I'm simultaneously kind of leery about health food "nuts" but also kind of knee-jerk "gotta get my vitamins." I've been struggling to find a fun and balanced food life, and Marsha certainly helps! Absolutely friggin wonderful post! I love her final words: Find the fun.Share it with others. Get a life (I mean that in the nicest way)." And this is different for each person. Marsha is awesome! Enjoyed this lots.. great stuff..hate the FAD's.. diets that is.. bookmarked this site the other day.. looking into the book.. anyone else out there? I love Marsha's approach: Approachable, practical, reasonable, not lock-step with old-world thinking but credible. Great interview! You can't have the healthy without the fun ;) Am going to pop on over and check out her blog now. Great. Straightforward. Simple. That's how eating is supposed to be. Too me a long time to figure that out. Marsha said "It's also about sometimes overeating because we want more, and making the decision to go for it because that feels good, too. ", and I think this is the first time I've actually heard anyone say that. This is really good to hear, as someone who grew up to think that I can NEVER EVER eat any fat or sugar or etc. if I want to lose weight. Obviously, I've been over that bs for a long time, but I've been thinking about the overeating, especially since I always seem to do it when I go out for dinner and drinks with friends. But it seemed to me that if I wasn't gaining weight and didn't go overboard or do it all the time, it should be okay, right? It's nice to hear someone who knows what they're talking about say that it is. Like the rest of the comments, I'm also a fan of the post! Thanks for the most excellent advice! What a cool interview! Thanks, Crabby and Marsha. And wowie, the haiku was so much fun. Yay for dietitians who dig poetry! Get a life (I mean that in the nicest way)." Love it! Very refreshing (and common sense! Wow!) ideas indeed. Nice interview! My experiences with dietitians have not been overly positive so far - a lot of them were so entrenched in the "food pyramid" dogma that they were very quick to discount anything else, even with there was science supporting it. It's really nice to see some more open minded ones out there, and gives me a little hope for the field. I think I need to spend a few weeks or months at Green Mountain at Fox Run. Thanks for a great interview Crabby and Marsha! Ah, frozen candy bars. I remember those! We did that regularly in summer in Texas.